As a reader / listener of the audio book, you can find here accompanying information. For Part III – Shall We Dance? In addition to these five principles there is a law available, called the “Law of Two Feet”: If at any time during our time together you find yourself in any situation where you are neither learning nor contributing, use your two feet, go someplace else. Consent: The Principle of Consent dictates that each policy decision (in which we make or change the rules by which we play) is made by consent. Consent is not consensus — it does not mean that everyone agrees. It means that nobody is aware of a risk that we cannot afford to take. We know we have made a decision by consent when somebody (usually the facilitator) asks “Can you see any risks we cannot afford to take in adopting this proposal?” If each participant in the meeting indicates they do not see any risks we cannot afford to take, we have made a decision by consent to try out the experiment described in that proposal. If policies are the rules of the game, then operations are “playing the game.” While we only make policy decisions by consent, we can make operational decisions however the rules tell us to. Most often, this means very clear delegation of budgets and decisions to specific roles and assigning people to those roles. Circles: The Principle of Circles tells us that a sociocratic organization is made up of circles – semi-autonomous, selforganizing teams that each make their own membership decisions, decide on their own working methods, and manage their own budgets. Each circle defines its policy (and some policies which apply to other circles reporting to it) by consent, and uses other decision-making methods as appropriate to its operational work. The key to the Principle of Circles is that each circle is organized around delivering a specific type of value to a specific client (inside or outside the organization). A circle for an orchard would include growers, truckers, sales people, and accountants — or at least the people managing sub-circles devoted to those areas of work. Each specific type of value is known as an aim. Feedback: The Principle of Feedback requires us to use feedback processes everywhere in our work, and especially in the power structure of the organization. While most companies have a top-down organizational structure, with managers providing links from one level of the organization down to the one below, those “single links” are often choke points for key information that people on the front lines know and the “top management” do not. Sociocratic organizations use “double links” to connect each circle with the one above it. The operational leader role provides guidance and prioritization from the higher circle to one below it, especially during normal operations. The representative role provides feedback and guidance from the lower circle to the one it reports to. While the representatives may not have any operational responsibilities in the higher of their two circles, they (along with the operational leader) are full members of both circles for the purpose of any consent decision-making. Election: The Principle of Election by Consent provides an important counter-balance. While we can delegate almost any decision to operational roles or processes, using a policy decision made with consent, the one sort of decision we cannot delegate is the election of an important role — particularly the representative. Representatives must be chosen by consent of the circle which they represent. This ensures that the organization is woven together by a web of consent, and that power flows in circles through the entire organization. Beer, S. (1995): Diagnosing the System for Organizations. New York: Wiley. Bogsnes, B. 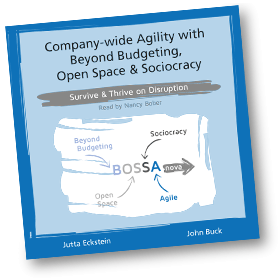 (2016, ebook): Implementing Beyond Budgeting. Unlocking the Performance Potential. Hoboken, NJ: Wiley. Kindle ed. Brown, J. (2005): The World Café: Shaping our Futures through Conversations That Matter. San Francisco, CA: Berrett-Koehler Publishers, Kindle ed. Charest, G. (2007): La Democratie Se Meurt! Vive la Sociocratie! Reggio Emilia, Italy: Esserci. Cooperrider, D.: Introduction to Appreciative Inquiry. AI Commons. http://tinyurl.com/y8dlgygk Last accessed July, 2017. Drago-Severson, E., Blue-DeStefano, J., Asghar, A. (2013): Learning for Leadership. Developmental Strategies for Building Capacity in Our Schools. Corwin Publishers. Eckstein, J. (2004): Agile Software Development in the Large: Diving into the Deep. New York, NY: Dorset House Publishing. Emery, F.E. & Trist E.L. (1973): Towards a Social Ecology: Contextual Appreciation of the Future in the Present by F. E. Emery. Springer. Eoyang, G. and Holladay, R. (2013, ebook): Adaptive Action: Leveraging Uncertainty in Your Organization. Stanford, CA: Stanford University Press. Kindle ed. Follett, M.P. (2013): Dynamic Administration: The Collected Papers of Mary Parker Follett. Martino Fine Books. Hope, J. & Fraser, R. (2003): Beyond Budgeting: How Managers Can Break Free from the Annual Performance Trap, Harvard Business Review Press. Hope, J., Bunce, P., & Röösli, F. (2011): The Leader’s Dilemma: How to Build an Empowered and Adaptive Organization Without Losing Control. San Francisco, CA: Jossey-Bass. Jacobsen, I., Spence, I. 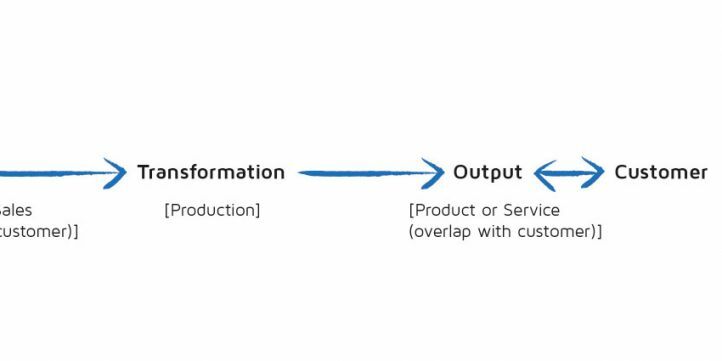 & Seidewitz, E. (2016): Industrial-Scale Agile – From Craft to Engineering. Communications of the ACM. December 2016. P. 63-71. Laloux, F. (2014): Reinventing Organizations. A Guide to Creating Organizations Inspired by the Next Stage of Human Consciousness. Brussels, Belgium: Nelson Parker. Owen, H. (2008, 3rd ed. ): Open Space Technology. A User’s Guide. Berrett-Koehler Publishers. Reijmer, A. & Strauch, B. (2016): Soziokratie. Das Ende der Streitgesellschaft. Wenen: Soziokratie Zentrum Österreich. Responsive: http://responsive.org and Zander, R.P. (2017): Responsive: What It Takes To Create A Thriving Organization. Zander Publishing. Robertson, B. J. (2015): Holacracy. The New Management System for a Rapidly Changing World. New York, NY. Henry Holt & Company. Rosenberg, M.B. (2015, 3rd ed. ): Nonviolent communication. A Language of Life. PuddleDancer Press. Kindle ed. Scharmer, C.O. (2009, ebook): Theory U: Learning from the Future as It Emerges. San Francisco, CA: Berrett-Koehler Publishers, Kindle ed. Sheridan, R. (2015): Joy, Inc.: How We Built a Workplace People Love. Portfolio. Snowden, D. (2000): Cynefin: a sense of time and space, the social ecology of knowledge management. In: Despres, C., Chauvel, D. (eds. ): Knowledge Horizons: The Present and the Promise of Knowledge Management. Butterworth-Heinemann, Oxford. Whitehurst, J. (2015): The Open Organization: Igniting Passion and Performance. Harvard Business Review Press. Buck, J. & Villines, S. (2017): We the People. Consenting to a Deeper Democracy. Washington, D.C.: Sociocracy.info. Drago-Severson, E., Blue-DeStefano, J., Asghar, A. (2013): Learning for Leadership. Developmental Strategies for Building Capacity in Our Schools. Corwin. Eoyang, G. (2009): Coping with Chaos: Seven Simple Tools. Circle Pines, MN: Lagumo. Ismail, S., Malone, M.S. & van Geest, Y. (2014, Kindle ed. ): Exponential Organizations. Why new Organizations are ten time better, faster, and cheaper than yours (and what to do about it). Diversion Publishing. Kerth, N. (2001): Project Retrospectives. A Handbook for Team Reviews. New York, NY: Dorset House Publishing. Mamoli, S. & Mole, D. (2015): Creating Great Teams: How Self-Selection Lets People Excel. Pragmatic Bookshelf. Patton, J. & Economy P. (2014, Kindle ed. ): User Story Mapping: Discover the Whole Story, Build the Right Product. O’Reilly Media. Pedagogical Patterns Editorial Board. (2012): Pedagogical Patterns: advice for Educators. Joseph Bergin Software Tools. Reinertsen, D. G. (2009, Kindle ed. 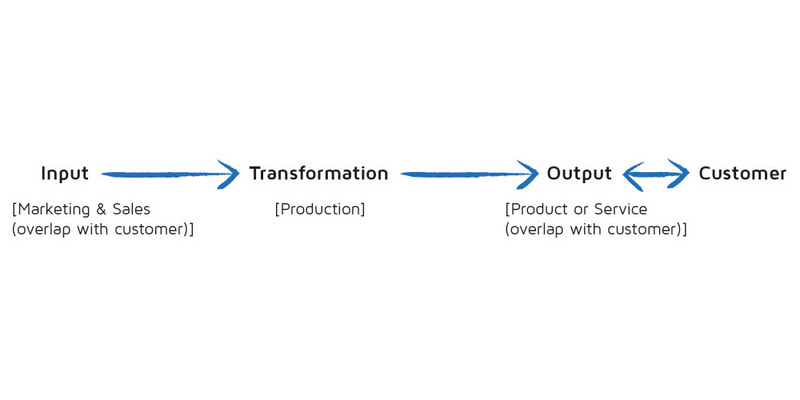 ): The Principles of Product Development Flow: Second Generation Lean Product Development. Celeritas Publishing. Ries, E. (2011, Kindle ed. ): The Lean Startup. How Today’s Entrepreneurs Use Continuous Innovation to Create Radically Successful Businesses. Crown Publishing Group. Romme, Georges. Quest for Professionalism. (2016) The Case of Management and Entrepreneurship. Oxford University Press. Rothman, J. & Eckstein, J. (2014, Kindle ed. ): Diving for Hidden Treasures: Uncovering the Cost of Delay in Your Project Portfolio. Practical Ink. Satir V., Gomori M., Banmen J. & Gerber. J.S. (1991). The Satir model: family therapy and beyond. Palo Alto, CA: Science and Behavior Books. Wölbling, A., Krämer, K. Buss, C.N., Dribbisch, K., LoBue, P. & Taherivand, A. (2012): Design Thinking: An Innovative Concept for Developing User-Centered Software, in Software for People. Mädche, Alexander (eds. ), Berlin: Springer. Carver, J. (1997, 2nd ed. ): Boards That Make a Difference: A New Design for Leadership in Nonprofit and Public Organizations, San Francisco, CA: Jossey-Bass. Fu Y. & Huang ZJ. (2010): Differential dynamics and activitydependent regulation of alpha- and beta-neurexins at developing GABAergic synapses. In: Proceedings National Academy of Science USA. 2010 Dec 28;107(52):22699-704. doi: 10.1073/pnas.1011233108. Epub 2010 Dec 13. Gomez, P. & Zimmermann, T. (1999): Unternehmensorganisation: Profile, Dynamik, Methodik (Das St. Galler Management-Konzept), Frankfurt/Main. Campus. Herzberg, F., Mausner, B., Snyderman, B. B. (1959): Motivation to Work. 2nd ed. New York: Wiley. Holland, J. S. (2016): Unlikely Friendships DOGS. New York: Workman Publishing Co., Inc.
Hubbard, D.W. (2014): How to Measure Anything: Finding the Value of Intangibles in Business. 3rd ed. New York: Wiley. Kline, N. (2015): Time to Think: Listening to Ignite the Human Mind. Cassell. Larsen, D. & Nies, A. (2016): Liftoff. Start and Sustain Successful Agile Teams. The Pragmatic Programmers. Liker, J.K. (2004): The Toyota Way: 14 Management Principles from the World’s Greatest Manufacturer. New York: McGraw-Hill. Manns, M.L, & Rising, L. (2015): More Fearless Change: Strategies for Making Your Ideas Happen. Reading, Mass. : Addison Wesley. Poppendieck, M. & Poppendieck, T. (2003): Lean Software Development: An Agile Toolkit. Reading, Mass. : Addison-Wesley. Resnik, David A. (2013): The Role of Reflection in Leader Identity Formation in Small- and Medium-Sized Organizations. Ph.D Dissertation, Cappella University, UMI # 3593145. Hanleybrown, F., Kania, J. & Kramer, M. (2012): Channeling Change: Making Collective Impact Work. Stanford Social Innovation Review 2012. We want to thank our early reviewers, who were courageous enough to look at a premature version of our chapters (in alphabetical order): Eric Abelen, Bjarte Bogsnes, Andrew Buck, Gerard Endenburg, Hendrik Esser, Marc Evers, Aimee Groth, Azy Groth, Michael Herman, Diana Larsen, Evan Leybourn, Yves Lin, Sandy Mamoli, Steve Morlidge, Christa Preisendanz, Annewiek Reijmer. We are really thankful for all these great and serious comments. We incorporated many of them. Thanks to all of you, sharing your experiences in an insights box: Eric Abelen, Bjarte Bogsnes, Hendrik Esser, Michael Herman, Jez Humble, Anders Ivarsson, Todd Kromann, Tracy Kunkler, Diana Larsen, Yves Lin, Sandy Mamoli, Pieter van der Meché, Johanna Rothman, James Shore, and Karen Stephenson. The members of the Supporting Agile Adoption initiative of the Agile Alliance made a great contribution to our work as both creative thinkers and as a sounding board. Thank you: Eric Abelen, Ray Arrell, Bjarte Bogsnes, Jens Coldewey, Esther Derby, Almir Drugovic, Hendrik Esser, Israel Gat, Don Gray, Michael Hamman, Jorgen Hesselberg, Anders Ivarsson, Bill Joiner, Boris Kneisel, Diana Larsen, Pieter van der Meché, Claudia Melo, Heidi Musser, Jaana Nyfjord, Ken Power, Michael Sahota, George Schlitz, James Shore, Dave Snowden, Rhea Stadick, Kati Vilkki. In this respect we also want to thank the Agile Alliance for supporting this initiative. Special thanks to Katja Gloggengiesser for all the great illustrations! Kudos to our early readers Christine Maßloch and Ramona Braddock Buck for the feedback and to Mario Lucero for inspiring us by his artwork. Next we want also to thank all the participants who guided us with their questions and discussions in the right direction. Kudos to the workshop participants at: Agile 2016 and the ones from Agile India 2017: Vipin Agarwal, Syed Shabid Ali, Ravi P Ayyar, R Muni Yugandar Babu, Chandrakanth Biradar, Lalatendu Das, Sharath Desai, Manish Dureja, Thiyagarajan G G, Srikanth Ganugapati, Hari Iyer, Prasad Kabbur, Tarek Kaddoumi, Vijaya Kalluri, Satish Khot, Hari Kiran, Suneetha Konda, Guruprasad Krishnan, Seema Kumar, Ganesh T M, Sandy Mamoli, Shweta Mohindru, Uma Naidu, Sita Pun CSM, Divya Rajanna, Suman Ramaswamy, Mr. Shrey Razdan, Vasudevan A S, Balaji Sathram, Prashanth Shidlaghatta, Sunit Sinha, Surender Subramanian, Uday Tiwari, Mihir Ranjan Tripathy, Rajiv Tuli, Jatinder Verma, Chandar VR. And finally we acknowledge our partners Ramona Braddock Buck and Nicolai Josuttis for their patience and ongoing support.